Ask fellow campers about "Port Orford RV Village" and nearby attractions. This is a very well-run family owned campground. The husband and wife who own and operate it live on-site and were so friendly! He came around and picked up our propane tank and re-filled it for a very reasonable cost (under $10). The grounds are very well-kept and pride of ownership is evident. 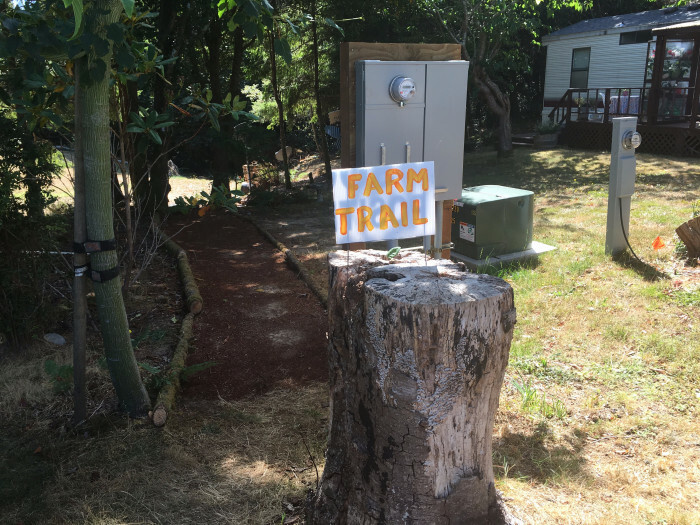 They purchased the adjacent property and have a very short "farm trail" which leads to it. 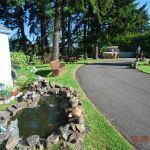 It's a perfect grassy area for pets, playing games, or sitting and enjoying their small koi pond. They had a social hour ever afternoon (we didn't attend), but we did walk by and everyone seemed so friendly. Even the owners were there. I can't say enough good things about this RV park. We were originally only going to spend 1 night on our way through but extended because it was such an enjoyable place to stay. We didn't see any kids around (it was September), and it was very quiet. A short drive to the town and no too far off the highway for access, but far enough away that there is no highway noise. We camped at Port Orford RV Village in a Motorhome. Very small, simple, quiet, quaint. Nice laundry facility. Cash or check only. Easy place to stop along the coast. 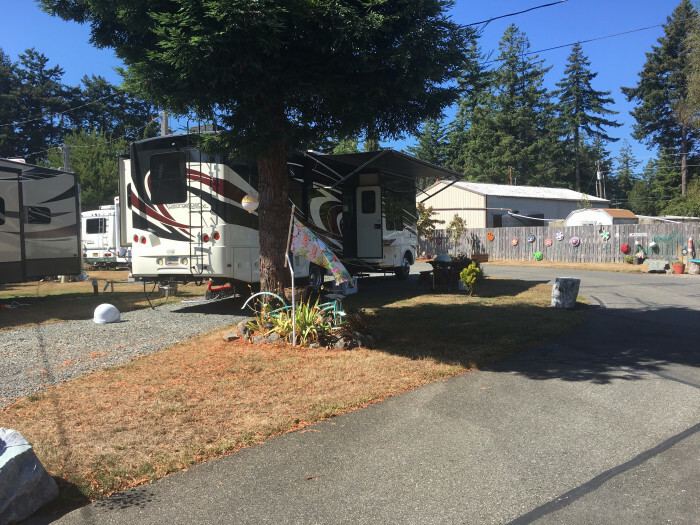 We camped at Port Orford RV Village in a Fifth Wheel. Skip the crazy fish place, go to the restaurant near the park on the water.. its worth it. 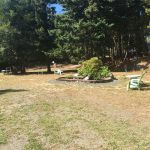 We chose this campground based on the very good reviews of other campers as we do with just about all of our camping choices and our experience was no different. A very well run campground - the grounds, showers and laundry were immaculate and it was very quiet at night. It is just a short drive to town and the beautiful beaches of Port Orford. We would definitely stay here again. 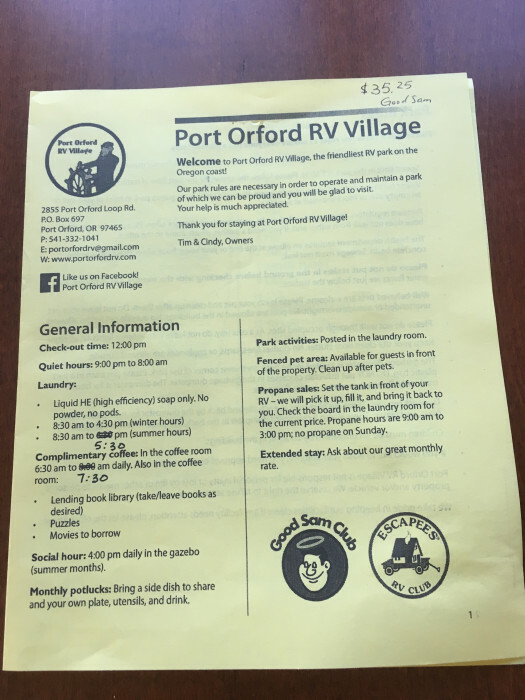 We camped at Port Orford RV Village in a Motorhome. Stayed two nights 8/26-8/27 in site 26. Sites are spacious & facilities are very clean. Co-owner is very friendly & down to Earth. Check-in & out were easy. 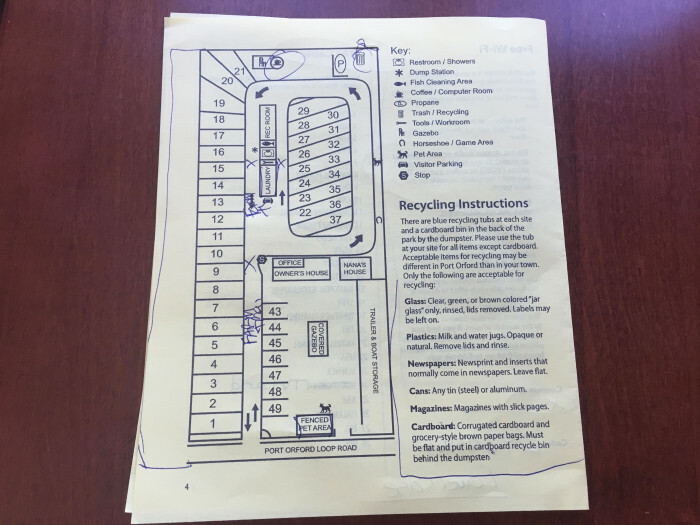 She went above & beyond by helping my husband back into our site and gave us a map of town as well as helpful tips of where to go (depending on our areas of interest). Very spacious sites (can park on other side of picnic table). Backing in was a challenge with a building right in front of us (thus a "satisfactory" site rating rather than a "very good"). They make great use of their space & fix it up nice with cute flowers, shrubs, trees & decor. The park is 1/2 mile off Hwy 101, very quiet & well maintained. We did not use the laundry facility on site, nor the gracious offering of morning coffee & the lending library of books, movies, etc. We hope to stay here again in our future OR Coast adventures! We camped at Port Orford RV Village in a Travel Trailer. Tasty Kate's has a great breakfast (sausage sandwich & chorizo burrito, enough food for 2 meals!). McKay's Market & Dollar General had helpful, friendly staff with great items that we needed. 1/2 a mile off 101 this is an older park but extremely well kept with the nicest people running it. The park is small and back in only but don't be put off, it's a great, intimate little park and well worth the effort to get situated. Nice dog run, lots of grass and plants it is beautifully landscaped. All WiFi, Cable and cell phones etc work great, no black spots. The Owner backs you in to your space personally and he knows what he's doing! 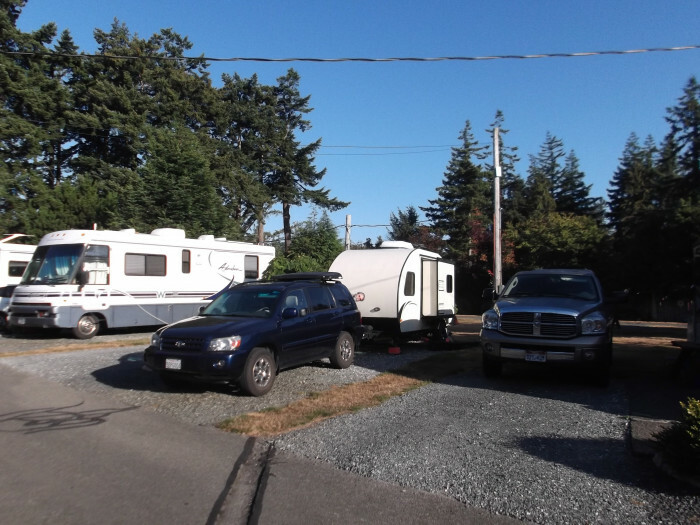 We camped at Port Orford RV Village in a Fifth Wheel. Go to the Redfish for lunch or dinner. 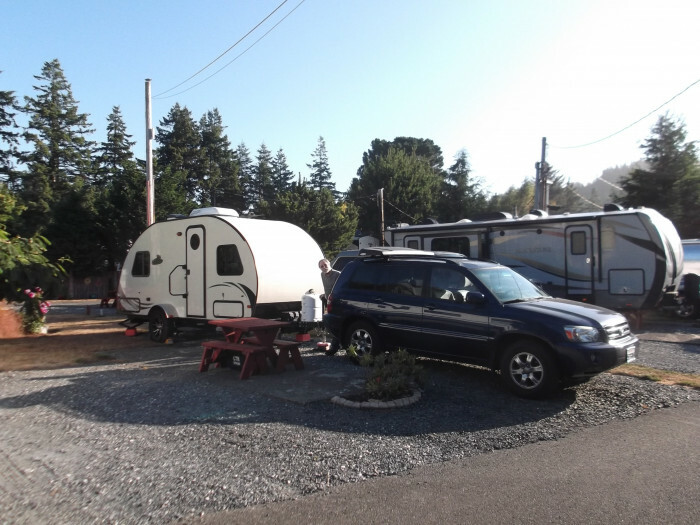 Fabulous views, fabulous food... Its not hard to find, trust us..
We liked this RV park. Lots of grass and trees for shade. There was a very nice laundermat but unfortunately for us it closed at 4:30pm. The manager was very helpful. Our site was pretty level. Full hook ups available including cable. 30 amp only available. Verizon had decent coverage. The bathrooms were clean with concrete floors, and no heat. 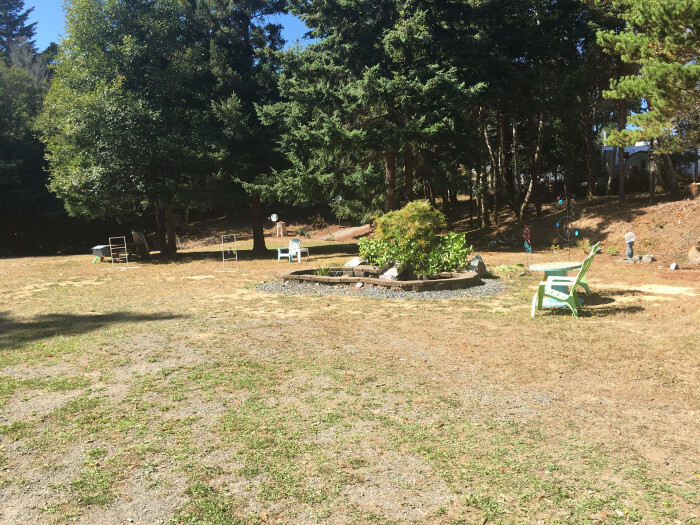 We camped at Port Orford RV Village in a Travel Trailer. Very nice park. Small with a lot of "retired" RVers. Many folks like it so much they stay there full time. Some shade and grass. Sites are level gravel, are side by side, but not uncomfortable. Roads are a little tight, but manageable with care. ATT good, Verizon good, WIFI weak. NO pool. Has club hous, game room, and horse shoes. Free coffee every morning. Social / game hour everyday at 4pm. Has a separate area with hose to wash cars - not RVs. Only one large pull through spot, must make reservations early. Would stay again. 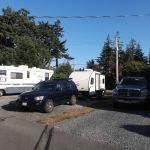 We camped at Port Orford RV Village in a Motorhome. Find small agates on the beach. Have very good fish and chips at the Crazy Norwegian restaurant. Stayed overnight. Clean and nicely landscaped. Utilities worked great. Good wifi. A bit off the highway but nice and quiet. 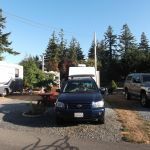 We camped at Port Orford RV Village in a Motorhome. Stop in town to buy groceries and liquid detergent. 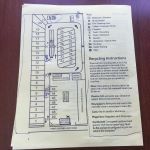 Very nice laundry facilities! This park is friendly and big friendly. We arrived without reservations and was immediately accommodated. Sites have cable, small rock, table, grass, level with 30 amp service, good water and sewer connections. It is evident that the owners work hard to keep the entire park clean and very usable. First park that asked what clubs we are members and gave us the lowest price. Will return to this quiet, well kept park. 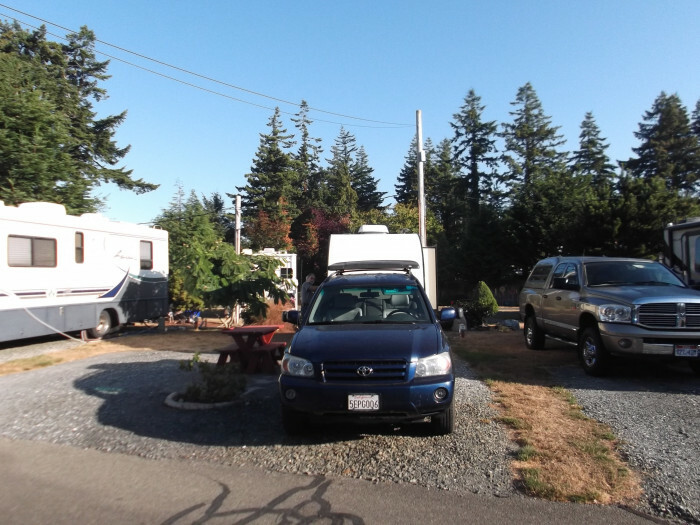 We camped at Port Orford RV Village in a Motorhome. Many state park sites that are historical and interesting to all. Crazy Norwegian for fresh fish and chips as well as pie. Hookd restaurant for excellent breakfast. This small park is VERY well maintained! Grass is mowed and edged, bushes trimmed, flowers everywhere. There is cute nautical decor throughout. Each RV site has an adjacent parking space for truck. A gazebo/coffee room with TV, morning coffee and homemade sticky buns. A fish cleaning area with stainless steel sink and counter. A grassy, fenced dog area, though dogs are welcome in entire park, if leashed. The managers live onsite and are very nice and helpful. They host a social hour every day at 4:00. We look forward to staying here again!! 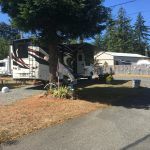 We camped at Port Orford RV Village in a Fifth Wheel. Whale watching from Port Orford dock. Port Orford heads and coast guard museum. Small park, very friendly atmosphere, long term sites well kept, grounds well cared for. On Friday there was a baked potato pot luck. Baked potatoes were supplied and guests brought other items. Nice chance to get together with others. Would stay again. We camped at Port Orford RV Village in a Fifth Wheel. We stayed 5 nights at this very well run park. Even though the site we had was narrow, it did allow us to open slide outs on both sides. The park's hospitality was superb and very managed. We camped at Port Orford RV Village in a Motorhome. 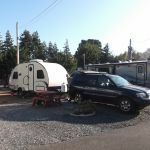 Small RV park with very friendly staff. Large level gravel lots. Easy to navigate around park. Good WiFi and cable TV. 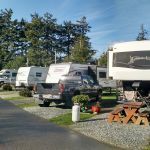 We camped at Port Orford RV Village in a Motorhome. Cape Blanco State Park just to the north, with lighthouse tours available some days. Also a good hike up Humbug Mountain, took us about 1.5 hours to get to the top. Very quiet and owners and other guests nice. Sites a little tight to get into, but owner helped guide me. Definitely would stay again. Close to nearby attractions. 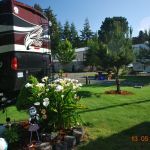 We camped at Port Orford RV Village in a Fifth Wheel. Hughes House and Cape Blanco Lighthouse are a must see. This is a fairly small compact park run by a married couple who live on the premises. They do not take credit cards. All of the sites are back-ins but they are very helpful in getting you lined up on the sites. This time I was not the day's entertainment when backing in. I got it reasonably straight on the first try. The gravel site was fairly level. This is a pretty little park off of the main highway so very little traffic noise. It was a bit windy while we were staying here. This park had the most responsive wi-fi I've seen in quite a while. Apparently folks here don't do a lot of streaming video (the park asks you not to do that). A Passport America rate is available but only if you reserve your site within 48 hours prior to arrival. 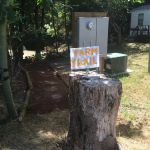 We camped at Port Orford RV Village in a Travel Trailer. Great spot for a base for taking in the sights. Go South to see spectacular coastline views, go North and see some lighthouses. Make sure to see the old Coast Guard rescue station which is now a museum. Take the free tour as they have many artifacts from sunken ships, a rescue boat, and the furnished living quarters. Also see the port area, battlefield rock, and the lighthouse. Visit Tasty Kates for homemade baked good and coffee. 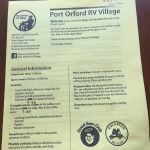 Are you affiliated with Port Orford RV Village ?